Is Interactive Fiction the Next Storytelling Format? There’s plenty of buzz about something called transmedia storytelling — stories that exist on multiple platforms, allowing the audience to enter the world whichever way they prefer. This could be through a novel, a movie, a console video game, a board game, short webisodes, web comics, interactive fiction, and so on. As a writer, I find it hard to wrap my head around some of those (I never paid much attention to screenwriting). So interactive fiction sounded like a good place to get my transmedia toes wet. You may be wondering what interactive fiction (IF) really means, but you’ve probably had some experience with early forms of it yourself. Did you ever read a Choose Your Own Adventure book as a kid? 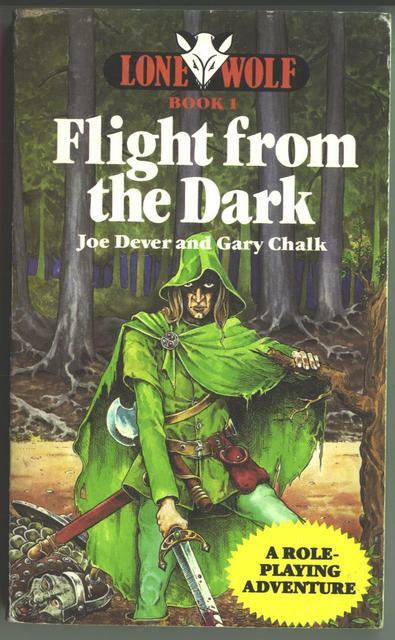 One of the most common so-called gamebooks was the Lone Wolf series, which operated a little different than CYOA books by allowing you to choose character attributes, much like Dungeons & Dragons. And IF is similar to a MUD, but a bit more limited. These all still exist, and as many of us grew up on them, it makes sense we might seek other forms of interactive fiction (IF) now. To me, interactive fiction is the ultimate “What if?” format, making it ideal for science fiction and fantasy. We’ve had printed books for centuries. We had Choose Your Own Adventure books as kids and MUDs as teens. Now we’ve got ebooks. Is interactive fiction the next storytelling format? I started looking into modern interactive fiction and its advantages and disadvantages from both the writer’s and the reader’s perspectives. Stumbling over to the Interactive Fiction Database, I poked through some of the IF recommended for newbies like myself. Two of the three I tried left me stumped. I assumed I didn’t have to know any commands for them, and that I could just go through with natural choices like “Open the door,” and “Go north.” Most of the time, that worked, but in two of the three games, I found myself at a loss for what I was allowed to do next. So one of the major disadvantages for the reader is the feeling of being funneled through fake choices. In one game I couldn’t leave the house because I had to take a shower and change clothes first. But in trying to do so, other stumbling blocks tripped me up. After that, I discovered an interesting IF called “First Draft of the Revolution.” In it, you role-play as long-distance husband and wife whose only form of communication are letters they write each other. You revise the letters, and the story changes as a result. Try it out. One thing I really like about “First Draft of the Revolution” is the visual appeal. In a sense, it’s also text-based, and yet it’s formatted very nicely on a parchment backdrop with beautiful typography. After a little initial confusion, it was clear to me what parts of the letters I could choose to change (or not), and it went smoothly from there. I didn’t need to know any esoteric commands. Plus, I was able to play it in the Chrome browser, both on my PC and on my Nexus 7 tablet. So as a reader, what would my ideal IF experience be? Provide clear choices: Don’t make us guess what we have to do. Create real choices: Our choices should actually mean something and change the story in some way, not just funnel us back onto a pre-determined path. Avoid long gaps between choices: If we wanted long-form prose without much interaction, we’d just read a regular book. Create an inviting visual: Like a real book, we want to see an attractive cover, typography, and interior pages, to put us in the imaginative mindset. Forget page numbers: It breaks the fourth wall, especially when we don’t have a physical book in our hands in the first place. Just link us to the next piece of the story. Offer the ability to bookmark: Since IF is similar to role-playing games, save points before a life-or-death choice would allow us to return and change our minds. Writing an interactive fiction story presents some unique challenges. Keeping up with various plot lines in a novel is bad enough, but to keep up with all the potential story threads in a interactive story is mind-boggling. Luckily, some developers have already paved the way to help us writers out. I’ll touch on two. Inform7 is an incredibly complex piece of software, yet is very intuitive and user-friendly. You don’t need to have any programming skills to use it, although I recommend you read through the extensive documentation before trying anything out. You’ll need to arm yourself with the basics. 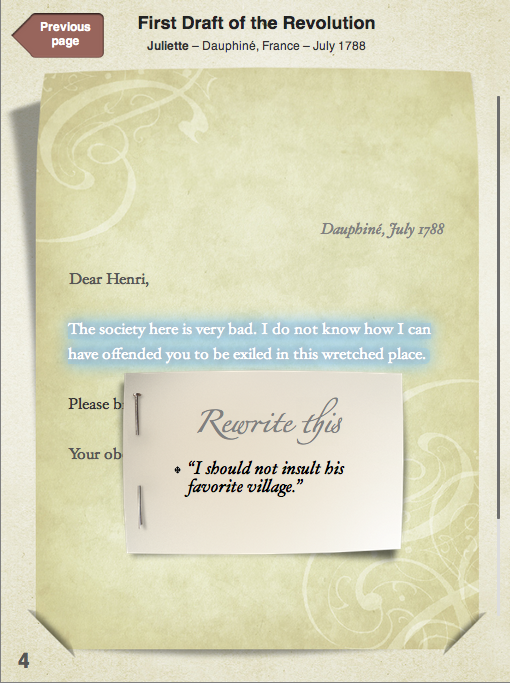 Alternately, you can try your hand at Inklewriter. This one’s choices are more clearly defined, in the vein of the Choose Your Own Adventure books. The reader usually has two or three options to move forward. Writing interactive fiction requires a change of mindset. You not only have to keep in mind what all your characters motivations are, but now you have to guess what your reader’s desires are. Blogger Nicole Pyles has some advice on this balancing act. And the Brass Lantern offers some resources for both writers and readers of IF. It’s hard to tell if IF will ever become a dominate entertainment form, but I think it makes a good supplement for readers between books, or in addition to them. I intend to try it out soon, so get in touch with me on Google+ or Twitter and let’s commiserate. Check out what other writers have done with this new storytelling format below. Then dive in and start your own interactive fiction with Inform7 or Inklewriter!